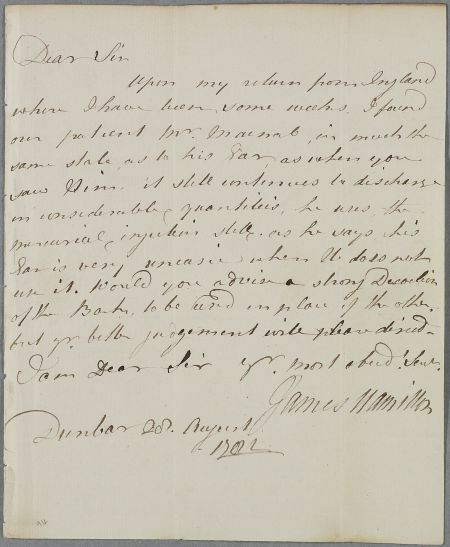 Letter from James Hamilton, concerning the case of Mr Macnab. Mr Macnab still continues to use the mercurial injection, as his ear continues uneasy. 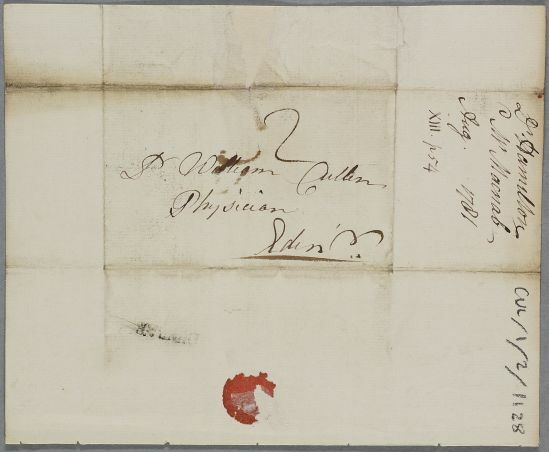 Hamilton asks Cullen's advice on further treatment for Mr Macnab's complaint. Summary Letter from James Hamilton, concerning the case of Mr Macnab. Mr Macnab still continues to use the mercurial injection, as his ear continues uneasy. Hamilton asks Cullen's advice on further treatment for Mr Macnab's complaint. Case of Mr McNab who has a stomach complaint and ulcerated ear. I am Dear Sir yr. most obedt. Servt.